If you happen to get sick while in the U.S. and need medical attention, you will want the process to go as smoothly as possible. However, with non-friendly U.S. plans, the doctors or hospitals may not recognize the plan. This may result in an initial denial of insurance, leaving you responsible to pay for your treatment, which can be particularly expensive in an emergency situation. Many times, with an international medical insurance policy, you will have to get preapproval of your treatments before you receive them. Which is a bit different compared to how things work in the U.S. Typically, doctors and hospitals are well versed in the different types of insurance, and with a U.S. friendly plan, you will be able to go and get the treatment you need without having to stress about the insurance part. After all, if you are needing to use your insurance, it is because you are in pain or are ill, and the last thing you will want to do is have to stress about getting your insurance approved before you can get treatment. Typically, if you have insurance that is not U.S. friendly, it is because the country where the insurance is offered is not in the Americas. Whether it is Europe, Asia, etc. the insurance company will be in a different time zone, making communication difficult, potentially resulting in delays. In the event of an emergency situation, the last thing you will want to hear is “we cannot get ahold of your insurance carrier”, or “we left a message and are waiting for hear back from them”. Also, it should be noted that in other parts of the world, insurance is not handled with the same urgency as it is in the U.S. While the above issues can cause a headache for you when trying to use your international medical insurance plan in the U.S, this particular issue can cause a headache for the doctor’s office or hospitals. Depending on where you can your insurance, there will be a different benefit structure than what medical personnel in the U.S. are used to seeing. Since they will be unfamiliar with the benefit structure, it will only add to the stress and issues you are dealing with when trying to use your insurance. Having proper insurance is important whether you are at sea, or docked at a shipyard. MHG is your specialized broker when it comes to crew insurance. Our insurance specialists have the knowledge and experience to find the policy that works best for you. 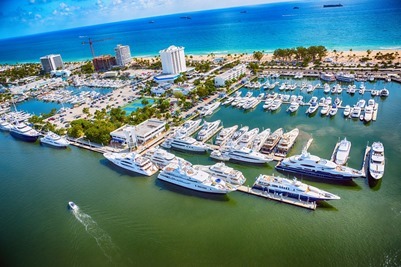 If you are interested in purchasing, or have any questions about yacht crew insurance or travel insurance, please contact us at +1 954 828 1819 or +44 (0) 1624 678668 or visit us online at mhginsurance.com. For more information on preparing to work on a yacht, read our previous blog, “Yacht Crew Case Study: Customer Service Can Be Life Saving”.